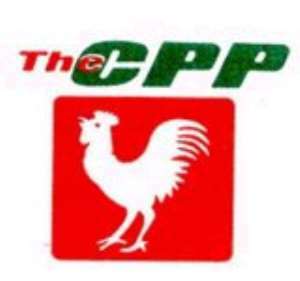 A seven-member Disciplinary Committee of the Convention People's Party (CPP) begins its investigations into the conduct of four of its leading members today. The four are Prof George Panyin Hagan, the presidential candidate for the 2000 general election, Dr Paa Kwesi Nduom, the Minister of Energy and parliamentary candidate of the CPP in the Komenda-Edina-Eguafo-Abrem constituency, Mr Kwaku Baako, a leading member of the party and Managing Editor of Crusading Guide and Dr Vladmir Antwi-Danso, leading member and a lecturer at the University of Ghana. A source close to the party said the committee is chaired by Mr K. S. P. Jantuah. The other members are Mr Sam Riley Poku, a minister in the Third Republic, Mr Justice Jones Mensah, Mrs Jane Chinebuah, Mr J. A. K. Tamakloe, Dr K. N. Osei and Madam Ellave Dove. A statement issued by the party last week said the committee had been tasked to investigate the conduct of the four persons and recommend appropriate sanctions. The statement said the disciplinary committee was expected to complete its assignment within two weeks to pave the way for a final decision by the central committee. It said the party took an exceptional and strong view of the pronouncements in the media by the four members. According to the statement, their pronouncements tended to undermine the credibility and fortunes of the party. The statement said the party condemned in no uncertain terms the unfortunate attitude and warned that it would not tolerate any act of indiscipline from any member, irrespective of his/her status.